This shirt didn't photograph correctly. The color is actually a bright navy or cobalt blue, MUCH darker than the photo above. yet bright shade of blue. The reproduction shirt has a nice wide open fly collar. The shoulder and chest area are a M - L fit, but the shirt tapers as it goes down. The chest is 44" around, but is actually cut for a 38" or 40" chest. The waist is 38". The shirt can be worn in or out. The shirt is 29 1/2" long and the sleeve length is 36". 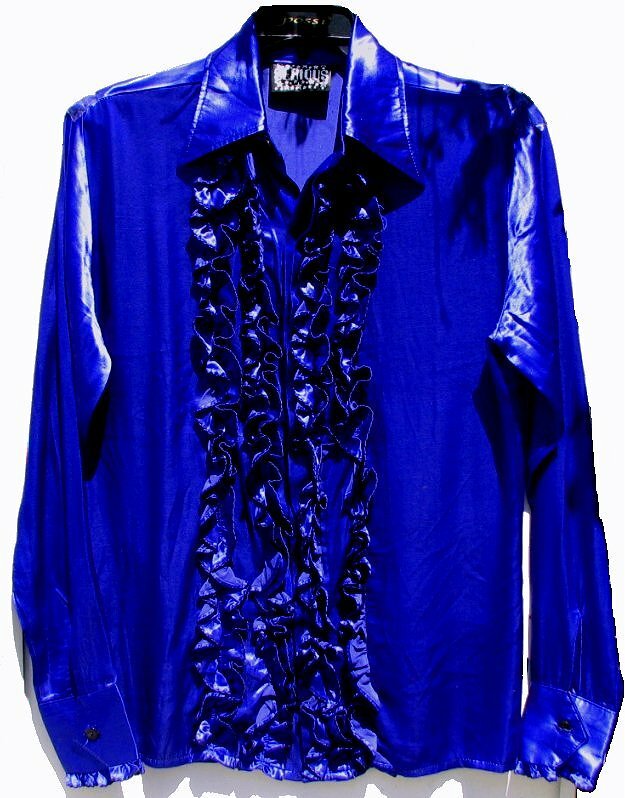 The shirt is rayon satin and can be hand washed or dry cleaned. Again, in person this is a stunning shirt.